The Art Association of Jacksonville is pleased to invite the public to walk through the galleries of our current group show entitled “A Place Kinder Than Home,” which is on exhibit through November 26 at The David Strawn Art Gallery, 331 W. College Ave., Jacksonville. The opening reception was held on Saturday, November 4 from 6-8 p.m. with “Gallery Talk” at 6:30 p.m. While the members of this artist collective all currently reside in the Midwest, their backgrounds, influences and histories are varied. The group’s intent is to create pieces that reflect each artist’s interpretation of the term “landscape” within the context of a personal standard of beauty. Group members include: Denise Blakeman, Jason Bly, Stanley Bly, Adam Dupuis, Amanda Greive, Leslie Stalter, Kevin Veara and Thom Whalen. It is with this in mind that the artists display an exhibit of works that address the creation or enhancement of an environment, based solely on the standard of beauty defined by the artist with the explicit purpose of providing a point of respite for the viewer. This body of work consists of both two-dimensional and three-dimensional pieces. Denise Blakeman holds a B.A. in visual arts from the University of Illinois-Springfield, having graduated in 2009, and now works as a full-time artist in her studio in Taylorville. Notable among Denise’s most recent exhibits are solo exhibitions at Richland Community College in Decatur, and Lincoln Land Community College in Springfield. Denise was also invited to be a featured artist for one of the Imagine Foundation’s Dining with the Arts events in Jacksonville, and has participated in the Decatur Area Arts Council’s monthly Art Walks on numerous occasions. Jason Bly currently resides in Wichita, Texas, and is currently a professor of art, painting and drawing at Midwestern State University. He received his MFA in painting from SIUE and his MA and BA degrees in painting and printmaking at Eastern Illinois University. In his current work, Jason Bly creates oil paintings that explore the connections between technology, simulation, and the everyday experience. Traditional paintings methods are used to mimic a graphic design sensibility combined with realistically painted objects from life. Through layering several thin layers of oil, Bly’s trompe l’oeil technique renders an environment of imagery related to the overwhelming visual stimuli, which we encounter every day. 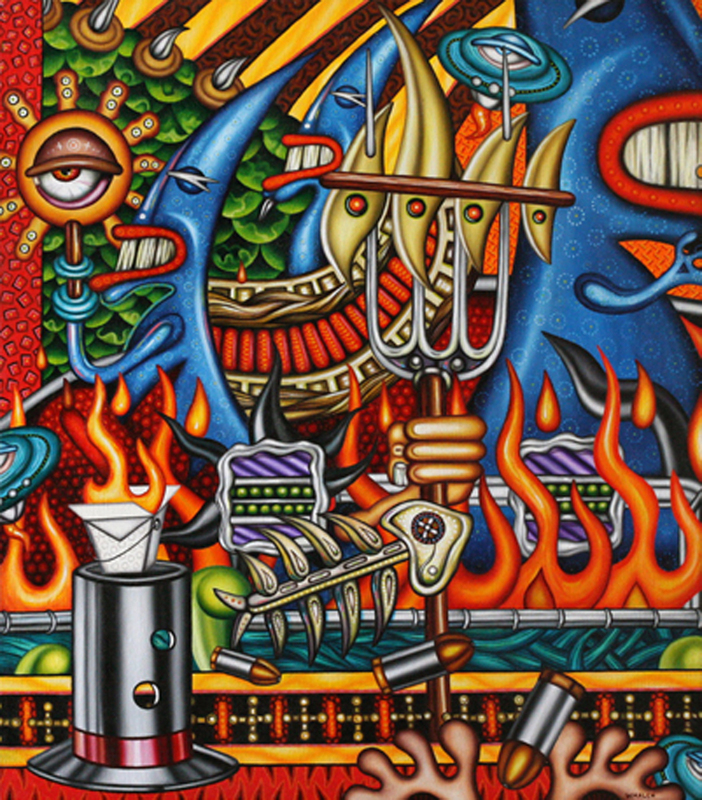 Stanley Bly is an American, Midwestern, artist whose work generally depicts subjects that reference mythology, art history, and blue-collar sweat. He tends to place them in a surreal limbo, next to flat spaces, and chalkboard images. The chaotic nature of the chalkboard, next to the traditionally painted imagery, creates a scene that is both academic, and asymmetrically destructive. The romantic compositions present the work as a theatrical narrative, and challenges the viewer to find more than what is immediate. 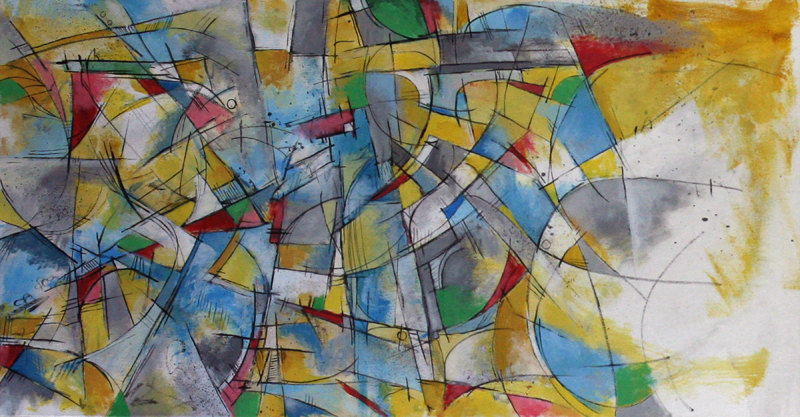 Adam Dupuis is an Illinois-based mixed media artist. 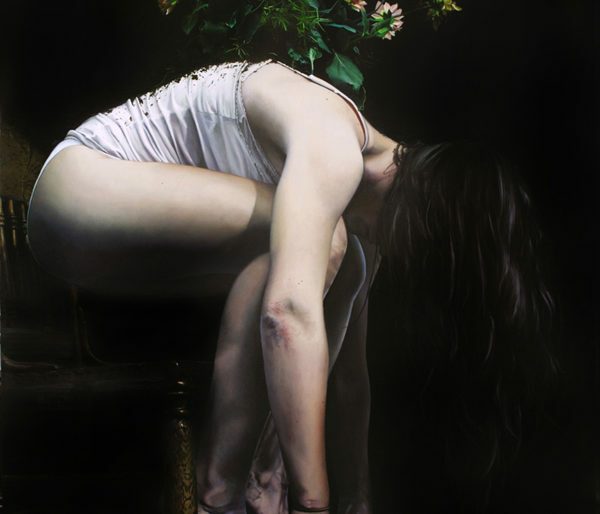 He graduated from Eastern Illinois University where he received a B.A with an emphasis on painting (2010), and an M.A with a focus on sculpture (2012). 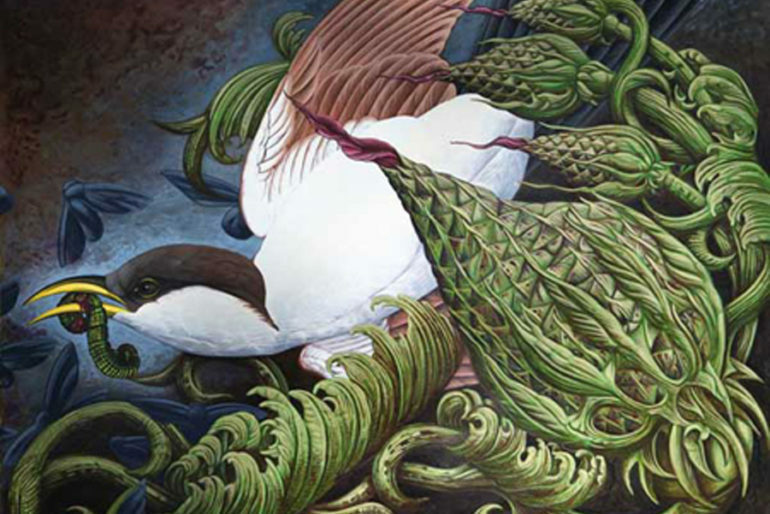 His work involves a deep exploration of biological themes and is heavily influenced by scientific illustration. Much of his work tends to focus on the moral and ethical ramifications of rapid technological progression. Recent exhibitions include: Art St. Louis Exhibition, 2009: Cinema Galleries, Champaign, 2010; Robert Murray Gallery; James S. Murray Gallery, Springfield, 2010; The Pharmacy, Springfield, 2012; Gab Studios, Miami, Florida, 2013. 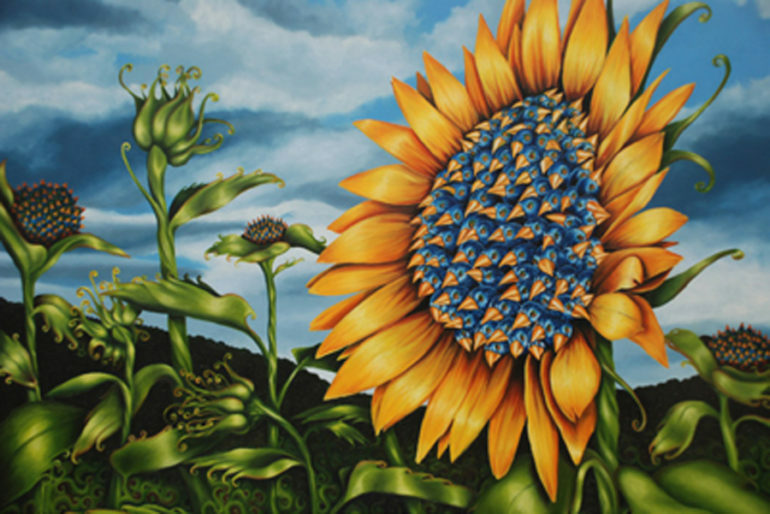 Amanda Greive graduated with a bachelor’s degree in visual arts from the University of Illinois at Springfield in 2008 and has exhibited her work both locally and nationally. She has exhibited her work at the St. Louis Artist’s Guild, Woman Made Gallery in Chicago, Contemporary Art Center of Peoria, and the Louisville, KY, Visual Arts Association. 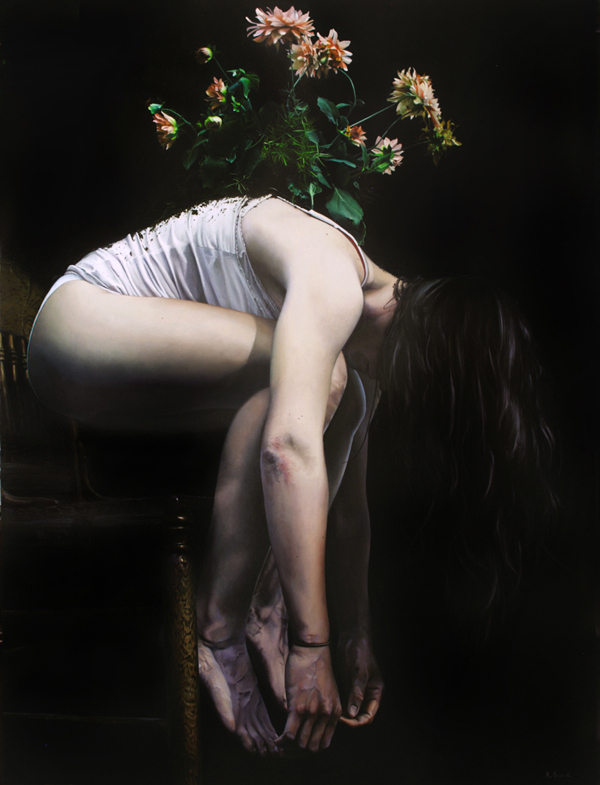 Most recently, she was a finalist in the 12th International ARC Salon and was awarded an Arcadia Contemporary award. 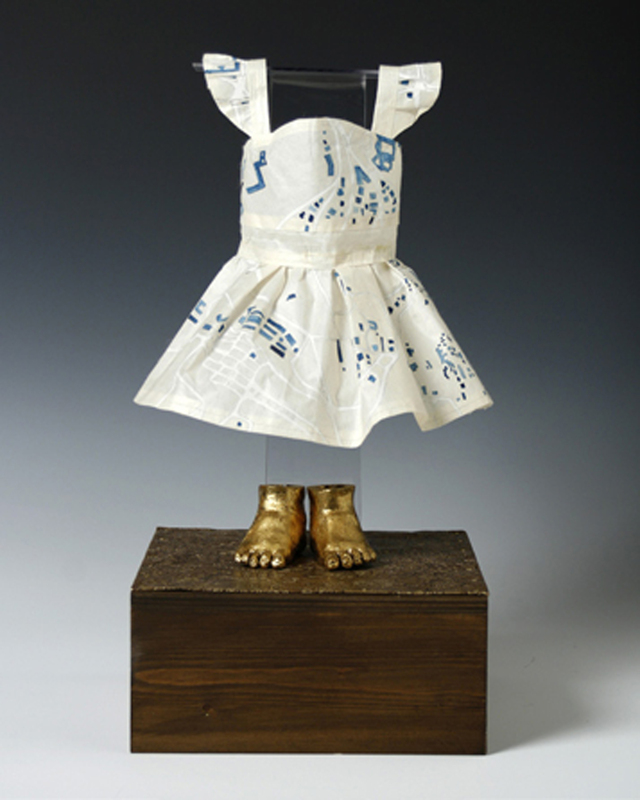 She had solo shows at the Buchanan Center for the Arts, Springfield Art Association, and Quincy Art Center, and has an upcoming solo exhibition at Olivet Nazarene University’s Victorian Home Art Gallery in Bourbonnais, Illinois, as well as upcoming group exhibits at Abend Gallery in Denver, Colorado, and Arcadia Contemporary in Culver City, California. 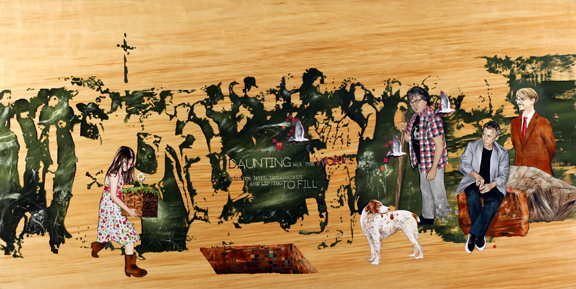 She was also a juried member of the Chicago Artist’s Coalition’s HATCH project for 2011-12. While Leslie Stalter was born in the United States, she spent her formative years in Guyana, Mauritania, Kenya, Jordan, and Indonesia before returning Stateside. Much of her art is directly influenced by this nomadic upbringing. Using a multi-media approach and a metaphorical touch she explores issues of longing and belonging as they relate to the importance of place in the creation of identity. 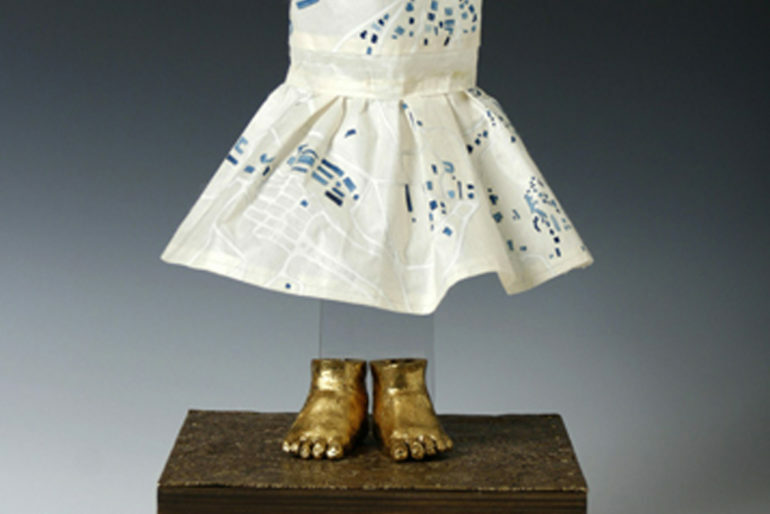 She received her Bachelor’s in Art in Printmaking and Sculpture, along with a Bachelor’s in Asian Studies from the University of Virginia. She later completed her Master’s in Fine Arts in Spatial Arts at San Jose State University, San Jose, California. She’s shown her art in galleries around the Bay Area and the Midwest. For the past twelve years she has been working as Professor of Art at Lincoln Land Community College in Springfield. Kevin Veara is a bird guide for Lincoln Memorial Gardens located in Springfield, and has been leading hikes for close to twenty years. He also enjoys traveling around the country for bird watching vacations. While on these trips Kevin has a bird diary where annual dates are kept for certain types of birds. Veara owns seven acres of land on the banks of the South Fork of the Sangamon River which he is currently restoring by planting appropriate native plants and removing others hoping to create a haven for birds and animals. Kevin makes a living as the owner of Black Moon Tattoos in Springfield. He holds an Associates of Arts from Springfield College, a Bachelor of Fine Arts degree from Sangamon State University, and a Master’s of Fine Arts from Southern Illinois University in Carbondale. His paintings exploring the local flora and fauna of Illinois can be found in shows and collections nationwide. 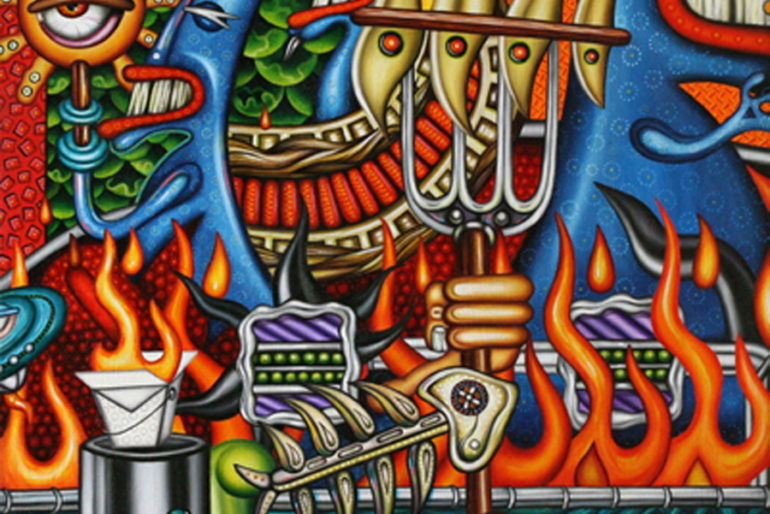 Thom Whalen’s paintings are loud and proud. The use of design in his work is often ambiguous with shifting perspectives, non-local color, and an emphasis on the absurd. He creates environments, which immerse the viewer into a world of creatures that rehearse a frenzy of dramatic situations: floors tilt up, ceilings down, colors scream, belching a cacophony of sounds with visual puns. 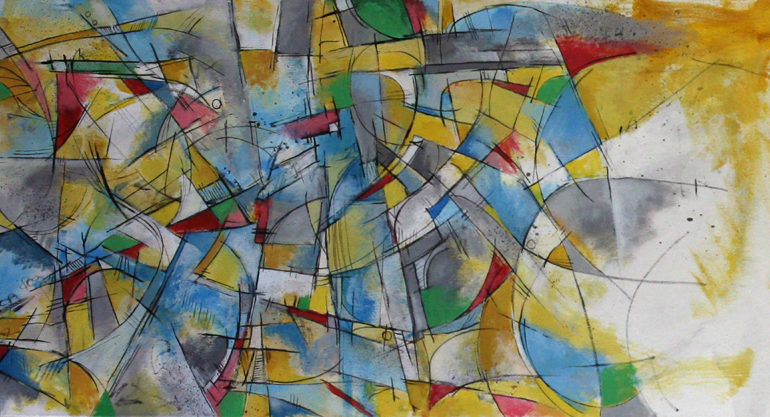 Thom Whalen holds an Associate of Arts degree from LLCC, a Bachelor of Arts in studio/art history from Eastern Illinois University, and a Master of Fine Arts degree from the University of Kansas. He joined the LLCC faculty in 2001. He is also a studio artist and freelance graphic designer. He has designed signage, exhibits and promotions for the Smithsonian Institution in Washington, D.C., The Abraham Lincoln Presidential Museum in Springfield, and clients such as Planet Hollywood, Extra TV, Hard Rock Hotel and Las Vegas casinos.